Kerala Public Service Commission announced DIVISIONAL ACCOUNTANT Rank List 2018 for State Wide DIVISIONAL ACCOUNTANT Examination conducted on Thiruvananthapuram, Kollam, Pathanamthitta, Alappuzha, Kottayam, Ernakulam, Idukki,Thrissur, Palakkad, Malappuram, Kozhikkode, Kasargod, Kannur, Wayanad Districts. 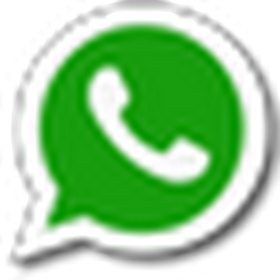 You can view or download DIVISIONAL ACCOUNTANT Rank List 2018 of DIVISIONAL ACCOUNTANT 2018 in below paragraphs. 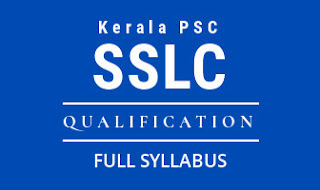 Kerala PSC LPSA Rank List 2018 can be download based on District wise. The Minimum Marks required to pass the examination is known as cut off marks which is different for the different category – General, SC, ST and OBC. Kerala PSC DIVISIONAL ACCOUNTANT Cut off Marks is different for different category and District wise of Kerala. Candidates who wish to obtain a photocopy of their OMR answer sheet (Part A & Part B) relating to this selection shall remit the fees of Rs.315/- in any of the Treasuries in the State (head of account: 0051 PSC-800-State PSC -99-other receipts). The duly filled in application in the prescribed form (available from the following link "APPLICATION FORMAT") along with the original chalan should be submitted to the Deputy Secretary (Examinations), Kerala Public Service Commission, Pattom, Thiruvananthapuram-4 within 45 days from the date of approval of this ranked list. A copy of an answer sheet will be issued only once to a candidate. Copies of OMR answer sheets invalidated due to any defect will not be issued. Candidates are prohibited from applying for a copy of an answer sheet which is not their own, and legal proceedings will be initiated against those who do so. A period of forty five days time to apply for rechecking of Answer Scripts will be allowed to candidates with effect from the date of approval of Ranked List. The candidates can avail only one chance after the approval of Ranked List. Candidates desiring to get their answer script rechecked to the written test held for selection to the post may apply for rechecking within 45 days from the date of approval of the Ranked List.
. Applications for rechecking of answer scripts should be submitted in the prescribed form available free of cost from the Enquiry sections of the various offices of the Commission or its photocopy, or downloaded and printed in A4 size paper from the above link "APPLICATION FORMAT". Applications submitted in any other manner will not be considered. The application for rechecking along with original chalan receipt for the prescribed fee for Rs.80/- under the head of account “0051 - PSC 105- State PSC 99 – Examination Fee” addressed to the Deputy Secretary (Examinations), Kerala Public Service Commission, Pattom, Thiruvananthapuram-4, should reach the office within 45 days from the date of approval of this ranked list. Application for rechecking received after the stipulated time will not be entertained and fee once remitted will not be refunded.